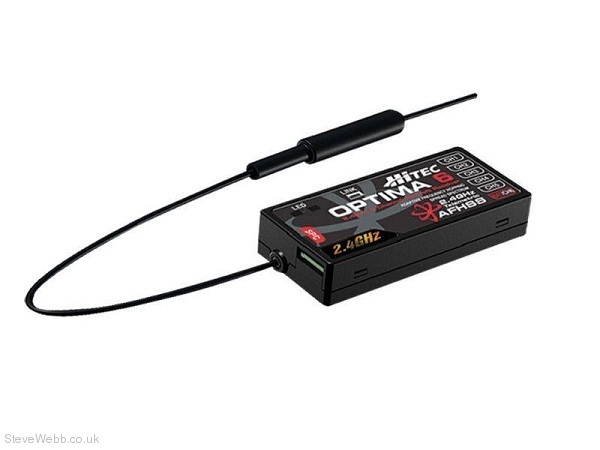 Built on the same foundation as the Optima 7 without the full telemetry features, the Optima 6 is 20% smaller and weighs in at just slightly over a half an ounce making it perfect for smaller aircraft. Boosted Omni Directional Antenna (BODA) The Optima 2.4GHz line of receivers feature our exclusive BODA receiver technology. Independent testing has proven that the single BODA antenna system in our 6 & 7 channel systems is equal to or better than our competitor’s dual antenna systems.